By Lee Seong-gwan along Route 18 during last Saturday’s Young Supporters walk. We have a high of 7°C with cloud to clear sky in places. A moderate wind ( 7 m/s ) is going to blow south-east all day. * Sunrise will be at 7:31 a.m. and sunset will be at 6:05 p.m.
* There are TWO guided walks on the trail. Kang Jin-cheol is leading 3 pre-registered walkers on Route 1 (reverse start) and Kim Ju-won is with 8 pre-registered walkers on Route 14-1. * The Ganse Lounge will be re-opening on Feb. 11 in conjunction with Gwandeok-jeong Bunsik (small cheap hearty-filling food restaurant). 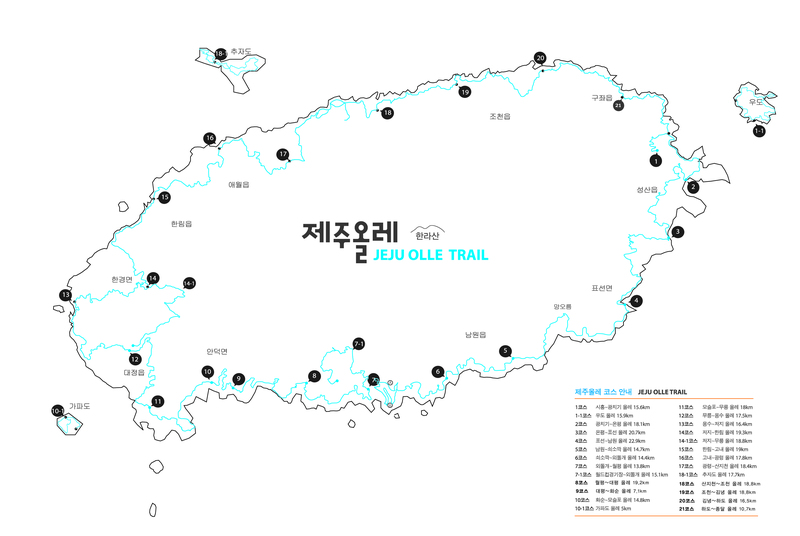 So you’ll be able to pick up Olle souvenirs and passports from that time in Jeju City.